Grammy Award winning Outkast member, Antwan “Big Boi” Patton’s nonprofit organization,the Big Kidz Foundation, is partnering with the nationally recognized youth development program “Moving in the Spirit” to offer a two week long summer camp for Atlanta’s urban communities. “Most camps end two weeks before school starts leaving our youth with a lot of idle time. We aim to fill that much needed void,” explained Chris McCord, Director of Men in Motion, Moving in the Spirit. Moving in the Spirit programs use dance as a vehicle to educate, inspire and unite diverse populations of young people in Atlanta’s urban communities. In its 22 year history, Moving in the Spirit has been the recipient of numerous awards and accolades, including the national Coming Up Taller Award, presented by the former President Bush’s Committee on the Arts and Humanities (2005). This summer starting July 27, 2009 through August 6, 2009, The Big Kidz Foundation has merged their Big Voice Program- a debate/speech program designed to help young people become better listeners, improve presentation skills, increase leadership potential and increase self confidence, with Moving in the Spirit’s “Rhyme and Reason” curriculum, created by a 16 year old participant. The program will use speech club techniques coupled with music and movement. 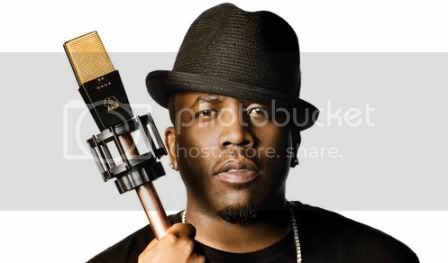 “My goal is to touch as many youth as I can and hopefully change their lives for forever,” says Big Boi. Founded in 2006, the Big Kidz Foundation's mission is to nurture the intellect of youth by providing culturally diverse experiences in the field of humanities, while enhancing their leadership abilities and creating socially-conscious individuals.